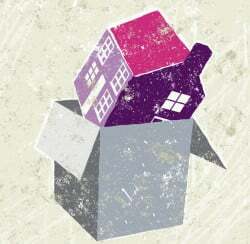 In amongst the costs involved in buying property the cost of moving can often be overlooked. But, moving costs can add up to over £1,000. Here are 15 ways to cut the cost of moving home. Moving home is a stressful business. New research from Yopa has revealed that 40% of us class moving as the most stressful life event. One of the issues is the sheer cost of moving your belongings between homes. And the average home mover pays £1,192 to a removal firm according to another recent study. Luckily there are plenty of ways you can cut the cost of moving home. The vast majority of house moves take place on a Friday. Research from 2015 found that 42% of house moves took place on Friday, with Monday the next most popular at 17%. The start and the end of the week are popular as it means you have the weekend to unpack, or finish packing. But because removal firms are much busier on these days you might find there is limited availability. Moving mid-week is far less popular which means you stand a better chance of getting your choice of removal firms (or van hire). You are also in a better position to haggle over the price helping you cut the cost of moving home. The less stuff you have the less it will cost to move. Having a thorough declutter before moving days will mean you need fewer packing materials, potentially a smaller removal van and less of the removal team’s time. All this can make a big dent in the cost of moving home. Plus, anything you don’t want that you can sell can help cover the cost of moving. If you have rubbish that you want safely and quickly disposed of take a look at our partner AnyJunk. They will send two crew members to clear junk or bulky waste and can often arrange same day collection. It usually works out cheaper than a skip. If you don’t have much stuff you may want to consider moving yourself. You can hire a van and round up friends and family to help in order to cut the cost of moving home. Just be aware that moving yourself may end up being a false economy if things get broken and have to be replaced. Make sure you have home contents insurance in place on the day you move into your new home and check if it covers items during the home moving process. If you do decide to use professionals make sure you shop around for the best firm at the right price. Search for independent reviews and ask locally for recommendations. The more notice you can give your removal team the better. It will allow you take your pick of firms, rather than going with whoever has availability. Some removal companies offer discounts which can help you cut the cost of moving home. You could qualify if you are an OAP, student, key worker or in the armed forces. Planning your move carefully can help you avoid unexpected costs. For example, once you have initial quotes from the removal firms and chosen the best one for you, make sure you get them round to survey and give you a more precise quote. You don’t want them turning up with a van too small to fit all your things in. Find out more about planning a successful house move with our Moving House Checklist. If you can be flexible on your moving day, and the time of day you move, you may be able to negotiate a deal with the removal firm. The easier it is to fit you into their schedule the better chance you have of getting a lower price. Also ask if you can cut the cost by reducing the work the removal firm will have to do. For example, don’t pay them to pack if you can do it yourself. Also, consider asking if it would be cheaper if you moved everything onto the ground floor of your home. The cost of boxes, bubble wrap and tape can quickly mount up. Try to start saving boxes before moving day and ask friends and family to lend you any boxes they have too. You can usually buy second hand removal boxes online on eBay, Gumtree or Facebook Marketplace. Remember while you don’t want to overspend here don’t cut back to much. You want your belongings to be safe during the move. Otherwise you’ll end up spending the money you save, and maybe even more, on replacing what gets damaged in the move. Take the time to pack your items carefully so they are safe during the move. Label fragile items clearly and try not to overload boxes. Also, pack strategically so that you don’t have to pay out for an extra big removal van. For example, use empty Tupperware to pack small items. Combine heavy items like books with cushions in boxes so the space is filled but the box isn’t impossible to lift. When you are comparing removal, firms make sure you check what insurance they offer for your belongings during the move. Be clear about what is and is not covered and what the limit is on their cover. Also make sure that your contents insurance at your old address is valid until you have moved out, and your new home is insured from the day you move in. When moving day dawns be aware that anything that slows down the removal men could cost you if you have to pay extra for their time. Similarly, if you’ve hired a van you are on the clock. This means being as prepared as possible. So, get all your packing finished before the van arrives and your boxes taped up. Ensure there is parking available right outside your home and you have any necessary parking permits. The quicker and smoother your move the more chance you have of keeping your costs down. In order to make sure everything moves swiftly and smoothly on moving day disassemble anything you can. Take apart beds, take the feet off sofas and armchairs etc. That way your move won’t be delayed by removal men struggling to fit things out of your home. Try to think back to when you moved in to your home, had large items delivered. How did everything get into your home? Did things need taking apart, do doors need to be taken off hinges? Also, remember to disconnect any white goods you are taking with you. Whether you have sold your home or are moving out of a rental property be careful as you leave. If you cause damage you could be liable for the cost of repairs. Try to assign one person to be in charge of cleaning up. If you are moving out of a rental you could find your deposit is affected if you leave the property in a state. Similarly, you could face complaints from the new owners if you leave a tip behind you. 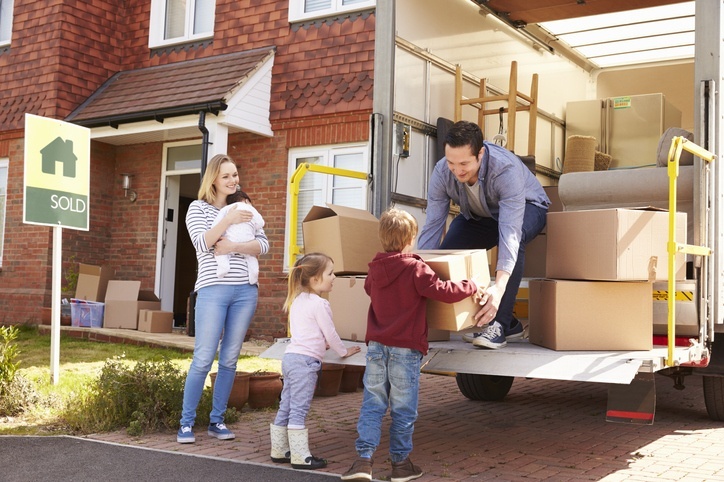 What’s the best day to move house? Looking for a property lawyer to deal with the legal side of moving? 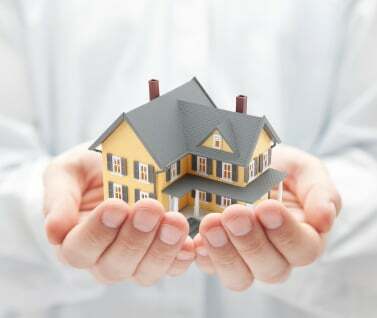 Compare conveyancing quotes from quality assured firms today!